In today’s hyper-saturated retail and media landscapes, it’s essential to stand out from the crowd and from your competition. The best way to do that? By implementing a robust content marketing strategy within your business and being smart about how you put it in front of your (existing and potential) customers. Content marketing has become an integral part of the retail industry. 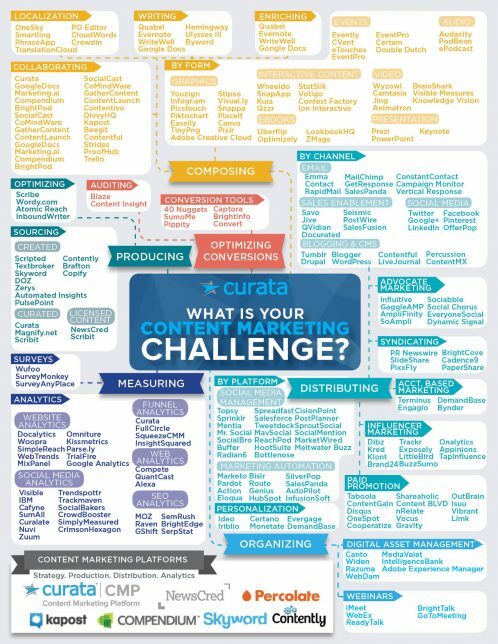 According to the Content Marketing Institute, 86% of B2C marketers are using content marketing as of this year; 90% of the most successful content marketers are “extremely committed” or “very committed” to their strategies; 91% measure content marketing ROI; and 63% have a documented content marketing strategy. Today, we’re outlining four steps you should take to build the content marketing strategy that’ll help you succeed. But before we launch into the steps, let’s answer a few questions. Google this question, and you’ll see that all the top results have one thing in common: the word “valuable.” The central tenet of content marketing is the idea that you’re regularly creating and disseminating valuable content that’s both relevant to customers (the ones you already have and the ones you’re trying to attract) and designed to increase your business’s profits. But there’s another thing retailers need to understand about content marketing. Unlike traditional marketing, which is unabashedly geared toward making money, content marketing focuses more on building your brand and establishing a relationship with customers — and then parlaying that relationship into increased revenue without directly asking people to buy from you. Take a look at these examples to get a better idea of what distinguishes content marketing from traditional marketing. 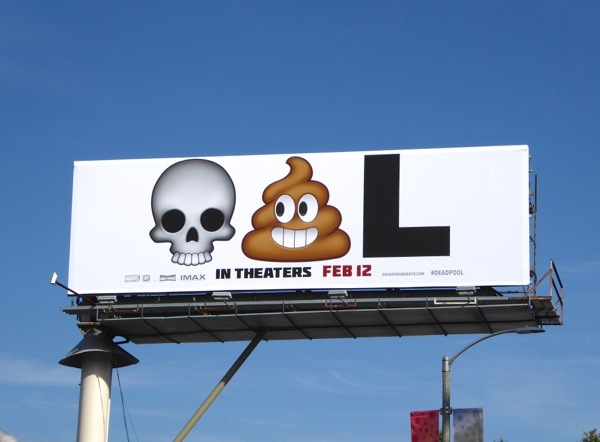 Innovative, no-holds-barred, and (most importantly) memorable, it ran the gamut from custom emojis and tongue-in-cheek billboards to holiday newsletters and viral videos. 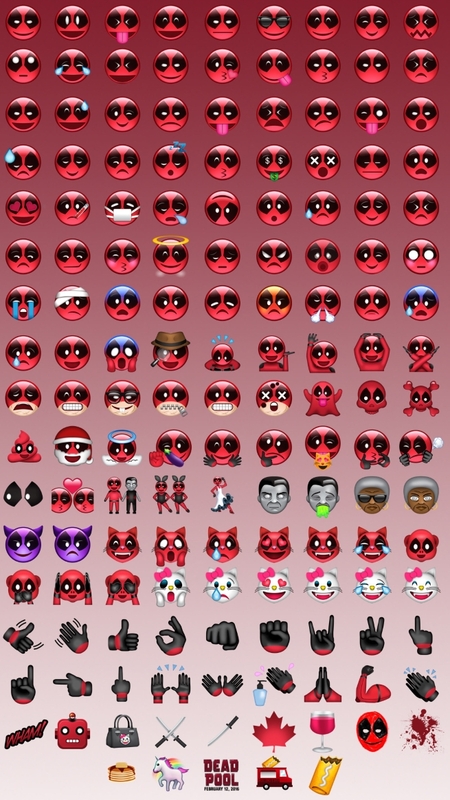 As part of the marketing campaign for a rated-R superhero movie that wouldn’t be able to capitalize on the all-ages audiences of the other Marvel properties, Deadpool was everywhere — on every conceivable social media app, on dating sites, on talk shows. And it worked. 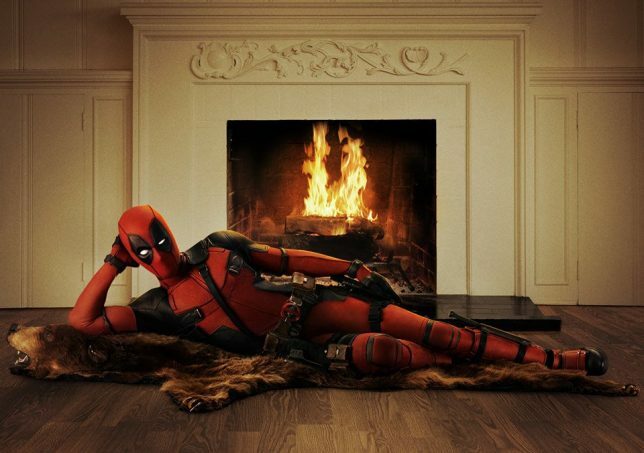 Deadpool made nearly $800 million at the worldwide box office on a production budget of $58 million. So why is this content marketing rather than traditional marketing? Because none of these examples explicitly asked for money. Rather, they focused on inundating certain market segments with clever “ads” and raising awareness about the film through humor and tone. The campaign clearly struck the right chords, and people who were impressed with the content marketing — people who’d formed a relationship with the material — then bought tickets to the film. That’s content marketing in action. Fashion retailer Kate Spade is an excellent example of content marketing in retail. The chic womenswear company has partnered with well-known female celebrities (Anna Kendrick, Anna Faris, Lily Tomlin, Marisa Tomei, Rosie Perez) for a series of short films titled #missadventure, and they’ve promoted the videos on their website and YouTube channel. These shorts are beautifully shot and produced — and while they do, of course, feature Kate Spade products, they never overtly ask you to purchase them. Instead, the films concentrate on building a world and on broadening and bolstering the Kate Spade brand. Now that you have a better idea of the difference between traditional and content marketing, let’s talk a bit about what constitutes actual content. What is the “content” in content marketing? We generally think of content in fairly standard and unimaginative terms: blog posts, ebooks, emails, etc. But for the purposes of content marketing, it’s important to think outside the box. The “content” here certainly includes what we commonly think of when we come across the word, but in full: it’s anything you can deliver to your market that’ll build your brand and create a community — and anything that’s helpful (valuable) to that market. Think interactive events or exhibits, punchy videos, podcasts, Q&As, interviews with brands or designers you stock — the sky’s the limit! The most important aspect of content marketing is your audience. If you don’t know who they are, what types of content they’re interested in, and where they want to consume that content (Facebook, Instagram, Snapchat, YouTube, etc. ), you’ll just be shooting in the dark when it comes to further developing your strategy. So you’ve got to do your research. To figure out what you’re looking for, start by asking yourself some simple questions like the ones below. Who are your current customers? If you’ve been keeping any sort of customer database at all, you should have this information at the ready. Who already buys from you and engages with your brand? Do they tend to engage with it more on certain days or at specific times of the day? Do they fall into a certain age category or location? Do they work in similar places? This type of information will provide a solid foundation on which to build your content marketing strategy. What are your limitations as a business and/or brand? Your audience will naturally be restricted by the greater limitations of your business, if you have any. So what does this entail? Say, for example, that you’re a tea retailer located in Oklahoma. You have the ability to ship nationwide, but you can’t send your products outside the country due to customs requirements. Your business’s core audience, therefore, will be your existing customers and those people in the United States who have an interest in tea and fit your ideal demographics. Or imagine you’re a luxury goods retailer with more expensive product offerings. Not everyone will be able to afford what you sell, so you’ll need to keep that in mind when you’re pinpointing your audience. Or perhaps you’re a children’s clothing retailer, in which case your core audience would comprise mostly parents (with a smaller segment devoted to family and friends who frequently purchase your wares). In other words: take into consideration factors such as shipping, price, and key demographics, which provide confines that your business can’t really cross. This isn’t to say that you have to absolutely limit your content marketing to the box those confines create, but they do give you a good framework within which to work — and they can help you decide where best to spend your content marketing budget (which we’ll talk more about later). It’s helpful to have an idea of who your ideal audience is so that you can build that into your content marketing strategy. Keep in mind that you’ll need to consistently monitor your audience data since it’ll evolve organically. As your business grows, your existing customer database will shift — and your ideal audience might shift as well, depending on the decisions and changes you make throughout the years. It’s important to regularly review this data and to update your content marketing strategy accordingly. Does the new information indicate that your audience isn’t engaging at all with a particular type of content? Consider dropping that from your plan. Do they display a clear preference for a certain medium? It might be worth investing more of your budget in that spot. Whatever the case may be, it’s in your interest to be flexible with your content marketing strategy. Things change, after all! 2. Decide on a budget. So you’ve researched your audience and now have a working understanding of who you’re actually marketing your content to. Now it’s time to decide how much you’ll spend on this element of your business. According to the Content Marketing Institute, the B2C marketers who are most successful in terms of their strategy spend, on average, 38% of their total marketing budgets on content marketing. The least successful allocate 21% of that total budget, and the average number for all the surveyed respondents clocked in at 26%. These numbers are a good jumping-off point when it comes to creating your own budget, but there are a number of things to factor in before you decide on a concrete amount. What does the rest of your marketing strategy look like? Does content marketing slot neatly in, or would it disrupt what you’ve got going on? If content marketing is something you can easily integrate into your existing strategy, you might consider allocating it a larger portion of your budget. If, on the other hand, you’ve already got a successful strategy in place or you’re testing out something new, it might behoove you to start smaller so you can get a better idea of what the right amount of content marketing spend is for your business. What amount will get you the most bang for your buck? When you’re in the process of deciding on your content marketing budget, it’s important to consider ROI. 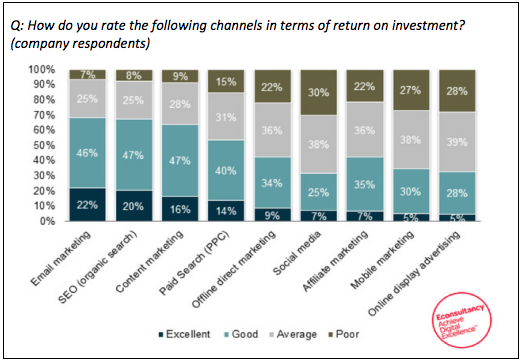 Take a look at this chart from Web Strategies showing survey responses to a question regarding ROI for different channels. Here, you can see that content marketing comes third (after email marketing and SEO) for ROI — a rank that likely merits a bit more of the total marketing budget. What resources do you have access to in terms of creating your content? If you have already have a marketing team in place, this is a much easier question to answer. Since they’re responsible for charting the content marketing plan-of-action and they’re already on your payroll, it’s probable that deciding on a budget for this element will be far simpler. But if you’re a smaller retailer without a dedicated marketing employee, marketing team, social media coordinator, or other similar role, you’ll have to figure out how you’re actually going to generate the content you’ll push to your audience. Depending on your bandwidth and business resources, you have a number of options. If you’re the sole employee of your business and you want to dive into content marketing without hiring someone to do it for you, you can manage it yourself. You likely won’t be able to spend a great deal of time on this aspect of your operations — but you can create and track the results of, say, one piece of content per week. Week 1? Write a short feature on a brand you sell in your store. Week 2? Shoot a quick video on your phone showing customers how they can use a new product you just started stocking. Week 3? Put your energies into organizing an in-store event for next month. If the content marketing strategy you’re thinking of implementing is more intense or time-consuming, think about hiring someone to manage it for you. It’ll cost you a bit more money, of course, but delegating those responsibilities to someone you trust, rather than taking them on yourself or forgoing content marketing entirely, could very well be worth it. If you’ve got the funds and you’re not interested in adding another employee to your core team, outsource your content marketing to an agency. There are countless options out there, and a little research will point you to the right one. Keeping in mind your overall marketing strategy, potential ROI, and the resources you have access to, decide on a number for right now. But like we mentioned with regard to your audience in tip #1, allow your budget a little fluidity. For example, if it quickly becomes clear that your content marketing strategy is working but you haven’t budgeted enough to keep up with that success, see if you can adjust the marketing budget elsewhere in order to give content more room to breathe. 3. Build a cross-medium execution plan. Once you’ve researched your audience and decided on your content marketing budget, it’s time to choose the types of content you’ll produce — and then to look at how you’ll actually disseminate it across different channels. The types of content you create should largely be decided by your audience research (do they like videos? podcasts? quirky written pieces?) and what works best in the context of your brand or business. Does your audience spend most of their time consuming content on Facebook? Focus on creating short, punchy videos, as these go over particularly well on this platform. Do you already use Twitter quite a bit in your day-to-day marketing? Come up with ways to promote your bigger content pieces within that 140-character limit. And whenever possible, produce content that people will want to share. This is one of the easiest ways to introduce more people to your brand and to ensure content marketing success. Buzzfeed’s Tasty videos are an excellent example of this. 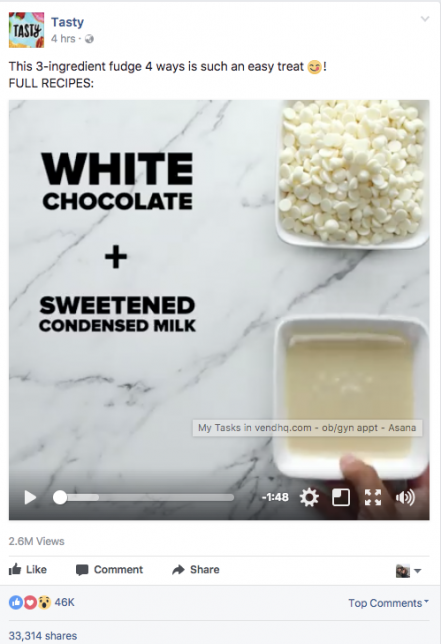 If you frequent Facebook on any kind of regular basis, chances are you’ve seen one or more of these snappy cooking videos. They’re beautifully produced and get, on average, tens of thousands of shares per video — widening Tasty’s audience net each time. The biggest thing to remember here is to listen to your audience. It doesn’t matter if you’re creating great content if it’s not in forms your audience is willing to consume — so don’t waste your time, money, and resources on putting together a bunch of podcasts they won’t listen to. Give the people what they want! Pro tip: Don’t forget about the less-talked-about channels like Reddit and Tumblr. These types of mediums and forums represent opportunities to content market to huge numbers, and it’s distinctly possible that your competitors will be ignoring them. Use these channels to gain an advantage and to ride it to increased brand awareness and business success. Take the well-known example of Denny’s Tumblr, for instance. The restaurant chain has managed to establish a funny, irreverent presence on the blogging platform with cheeky posts and funny memes, and it’s evolved into something of an internet sensation. Oh, and even if you’re starting small — with one piece of content a week or with a focus on solely one channel — it’s a good idea to create a content marketing schedule so you can easily keep track of what’s going out on which channel at which time. 4. Invest in the right tools for analysis. There are countless tools out there designed to help you analyze your audience, track your content’s performance, reach more people, and produce better content in general. It’s worth taking the time to test them out and to invest in whichever work better for your business. We hope this piece has given you a better idea of how to build a content marketing strategy that’ll help you succeed. Do you have any other tips for retailers looking to up their game? Let us know in the comments! The post How to Create a Retail Content Marketing Strategy That’ll Help You Succeed appeared first on Vend Retail Blog.